The family room was expanded in the renovation to create a very large space with several seating groups for entertaining. The room has great light and opens to the back terrace and the covered side porch. Interior Design by Markham Roberts. maraedd00 - Who makes the 2 chairs with cushion backs? Thank you! Hi Maraedd00: Thank you for the inquiry, but I do not have an answer for you. 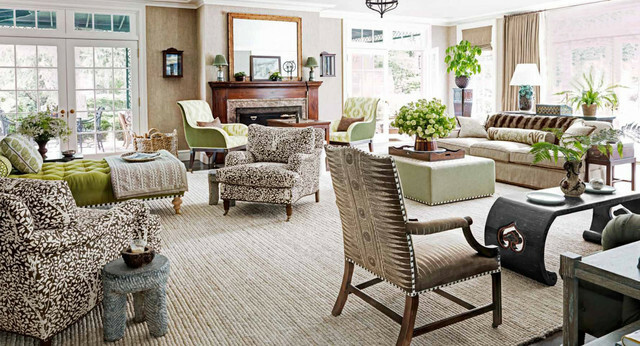 The chairs were purchased by the interior designer, Markham Roberts. Love the carpet. Where is it from?